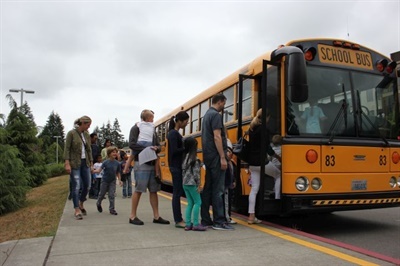 Families prepare to board buses for Issaquah (Wash.) School District’s annual ride-along for kindergartners and their families. Whether they regularly ride the bus, walk, or catch a ride with mom and dad and only board a school bus for the occasional field trip, all students need to understand the dangers in and around buses and learn how to safely cross streets. 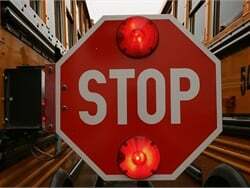 For many students, safety instruction begins and ends with a bus evacuation drill and a pamphlet on bus rules. However, very few school districts actually teach safety skills to students, according to Pete Meslin, director of transportation at Newport-Mesa (Calif.) Unified School District. “By foregoing that opportunity, they are missing the chance to improve student behaviors and build safety habits,” he says. 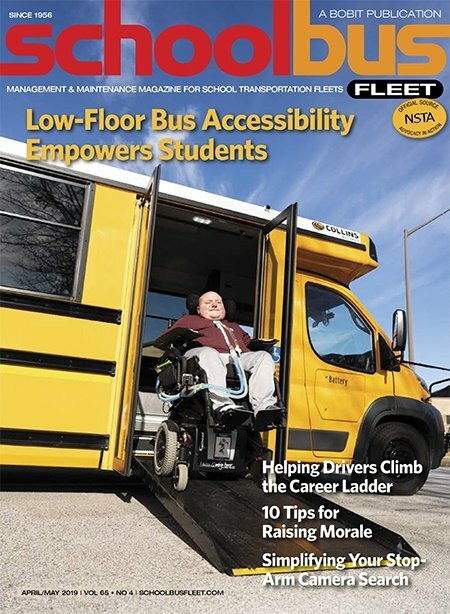 Here are details on five programs and products that districts and school bus companies have found to be successful in engaging and educating students — and sometimes parents — on school bus safety. Bus in the Classroom (BIC), the program used at Newport-Mesa, teaches special-needs students independence as well as school bus safety. BIC consists of five one-hour lessons taught by drivers and transportation staff. A list of skill-set objectives includes safe boarding of the bus and proper behavior, such as facing forward, putting feet on the floor, and using quiet voices. Interactive instruction models the behavior that is expected of students and engages them through role playing and activity coloring sheets. While drivers receive pay for time spent teaching, the cost is offset by the independence skills they teach students. 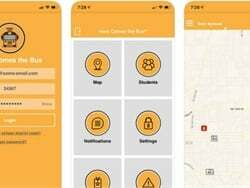 “If you take a typical seventh grader with special needs who receives school bus service in front of their house and move that student to a corner stop, so he’s waiting for the bus rather than the bus waiting for him, the money you save in terms of driver time pays for the program for more than two years,” Meslin explains. 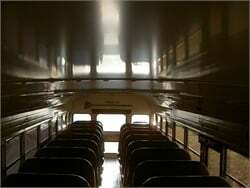 Teaching independence skills also helps special-needs students ride the general-education bus, he adds. That, in turn, enables them to build relationships with other students and provides skills that serve them well into adulthood. More than 95% of students who complete the BIC program show significant improvement in safety skills. With such success, Meslin says, Newport-Mesa has expanded the program to include their general-education kindergartners. To learn more about BIC, email [email protected]. Meanwhile, Issaquah (Wash.) School District looks to directly involve parents in safety education by hosting a ride-along for them and their children. When parents register their children for kindergarten, the transportation department invites them to ride the school bus with their incoming kindergartners, says Gayle Morgan, director of transportation for the district. To maximize attendance, the district offers the ride-along on three days in early August, and parents sign up online. 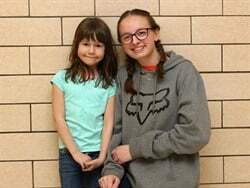 Families, including younger siblings, meet at one of the district’s high schools. Before the bus ride, staff members collect photos of each student and a parent release form that tells drivers who can receive a child at their bus stop. Drivers get these when school begins, along with a list of kindergartners on their bus. During the ride-along, students learn to listen to the driver and watch their hand signals to safely cross the street. 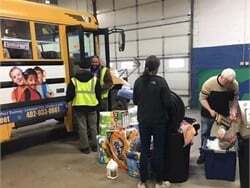 They are driven through the transportation department’s bus wash, which is exciting for the kids, then taken back to the school, Morgan says. Having parents aboard to hear the instructions to the students gives them the opportunity to reinforce those expectations to their children, Morgan points out. Additionally, it helps ease anxiety for parents who have concerns about their young children riding the bus. In 2016, the ride-along required 10 buses and drivers to transport 1,400 kindergartners, plus their parents and younger siblings. At least 4,000 people rode in the three-day event, and costs run between $1,500 and $2,000, Morgan says. When beginning a program, there will be challenges, Morgan says. Some of Issaquah’s included finding a place large enough to accommodate the program, details like having sandwich boards directing parents where to park, gathering release forms and photos, and choosing dates that didn’t interfere with family vacations. After 10 years, “Ours has evolved to a place where we know what we’re doing,” she adds. A student poses with First Student’s “Safety Dog” as part of the company’s safety event in Woodland Hills, Pennsylvania, in 2016. 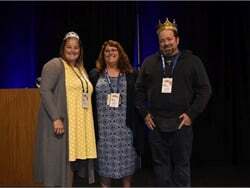 A cost-effective option that schools can use year after year is student safety DVD courses from the School Bus Safety Co. Jeff Cassell, president of the company, consulted educational experts to produce three courses to teach children about school bus safety. A five-section course addresses the pre-K to grade 2 group. “Mrs. Mary” teaches children how to cross the street and safe practices inside the school bus, Cassell explains. To appeal to children of various learning styles, the production uses both real people and animation, featuring Hoppy Rabbit and Pengie Penguin. 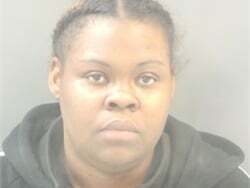 The pre-K to grade 2 course costs $275. For grades 3 to 5, the company uses a “magic tent” to deliver its message, in which a brother is teaching his younger sister about safety. This three-part course costs $220. In 2013, the program won a Silver Telly Award in the safety category. All three courses can be purchased for $600 at schoolbussafetyco.com. In 2015, First Student introduced the Safety Dog program with a floppy-eared mascot to teach students simple but effective safety tips in a fun and memorable way, says Teresa Cole, First Student’s senior eastern safety director. “Children get to walk a yellow carpet [and] pose for a photo, sort of like an Emmy event,” she adds. 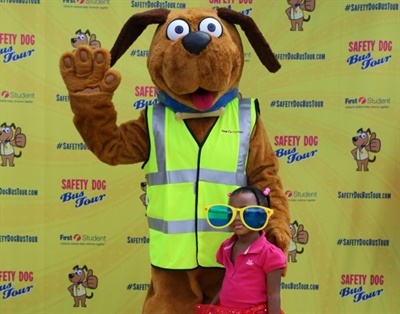 Posing with Safety Dog, kids have the opportunity to wear fun costumes, sunglasses and feather boas. “We encourage parents to attend the event with their children,” Cole says. “Children sign a safety pledge and leave with a bag of goodies.” Goodies include pens, bracelets, and sunglasses. Children also receive a coloring book created specifically for First Student, complete with safety tips taught during the program. The Safety Dog program is free of charge to schools partnered with First Student. 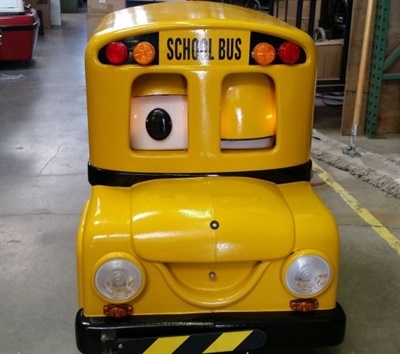 Since robots are a big hit with kids, schools might consider Buster the School Bus and Barney the School Bus, remote-controlled miniature school buses created by Robotronics Inc. Buster, which measures 24-by-36-by-36 inches, blinks his eyes, talks, and teaches students about school bus safety. Although young kids can have short attention spans, “When Buster rolls into the classroom, kids can’t help but stay focused,” says Erik Larsen, western sales representative for Robotronics. More than 50% of the robotic buses are purchased through federal and state grants or private funds, Larsen points out. Often schools ask a local company to sponsor a purchase of a bus. In return, the company receives federal tax write-offs, goodwill in the community, and advertising. School districts, bus companies, and sponsors can also purchase custom decals for their Buster or Barney with their logo on the side for an additional $250. Robotronics’ remote-controlled school bus robots, Buster and Barney, capture the attention of young students to teach them safety lessons. Shown here is Buster the School Bus, ready to roll into classrooms. One doesn’t have to look far to see the benefits of student safety programs. Issaquah’s Morgan recalls an incident that could have had a tragic outcome were it not for the district’s safety training. Meslin recounts a story he heard from a teacher at Newport-Mesa: A child was about to squeeze between two buses parked at the curb because he spotted his mom at the far end of the parking lot. 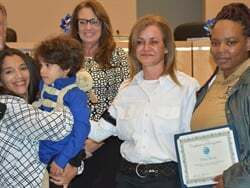 Standing next to him was a non-verbal third-grader who received the BIC safety training. 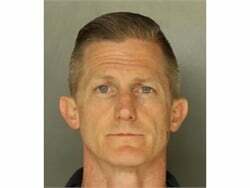 He held out his arm and stopped his friend from crossing in front of the bus. While the student wasn’t injured, he was in danger, Meslin says. “That’s the way kids get hurt in the loading zone, darting out from behind a bus, being invisible to the driver.